Infallible Techie: How to view login history of an organization in Salesforce? How to view login history of an organization in Salesforce? 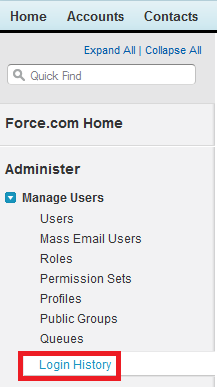 Go to Setup --> Administer --> Manage Users --> Login History.